The best way to experience Lake Garda in style and comfort, up-close and personal. The tours below have been specially developed and selected by Captain Mirco to give you the best mixture of the sights, natural beauty, lakeside stops, and local special places. 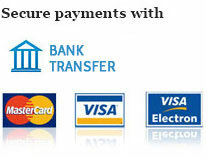 Credit Card preauthorisation is required for booking. 1 hour tour around the Gulf of Salò and the Isola del Garda, complete with guide explaining local highlights. You may also enjoy an aperitivo on board! 2 hours of bliss, around the Gulf of Salò, Portese, Baia del Vento, Isola del Garda and the Isola dei Conigli, have a "swim stop" too (max 8 people). You may also enjoy an aperitivo on board! Go to Sirmione in style, passing the Isola del Garda, Rocca di Manerba and other sights on the way. See the caves of Catullus from the lake on the way back. A 2 hour stop in Sirmione is perfect for lunch, shopping, or sight seeing. Pass by the Isola del Garda on your way to the fantastic restaurant on the lake shore at Punta San Vigilio. Here you will have an unforgettable gourmet meal and come back via the Baia Delle Sirene, enjoying the beautiful sights both ways. Head on up to the middle lake, for a different panorama, passing the Torre di San Marco on the way up. There is a 1.5 hour stop in Torri del Benaco for sightseeing, shopping, eating, and then the return via Punta San Vigilio and Isola del Garda. Why only see a bit, when you can see it all?! Captain Mirco will help you to custom design your tour according to your interests. Approximately 4 hours navigating and 4 hours on stops. Interpreter highly recommended, to get the most of all you are seeing! Tours may be cancelled or postponed for bad weather. Also available for point to point boat taxi service, ask us for a quote! Captain Mirco is a fully licensed boat captain, with many years of experience providing luxury boat service on the lake. He is responsible for your safety and wellbeing on board. His friendly banter and wealth of local information tidbits will keep you entertained, while his impeccable record and an in depth knowledge of the lake will keep you safe and secure.